Pumpkin spice [fill-in-whatever-product-here] is starting to hit the shelves, so that means fall must be upon us! 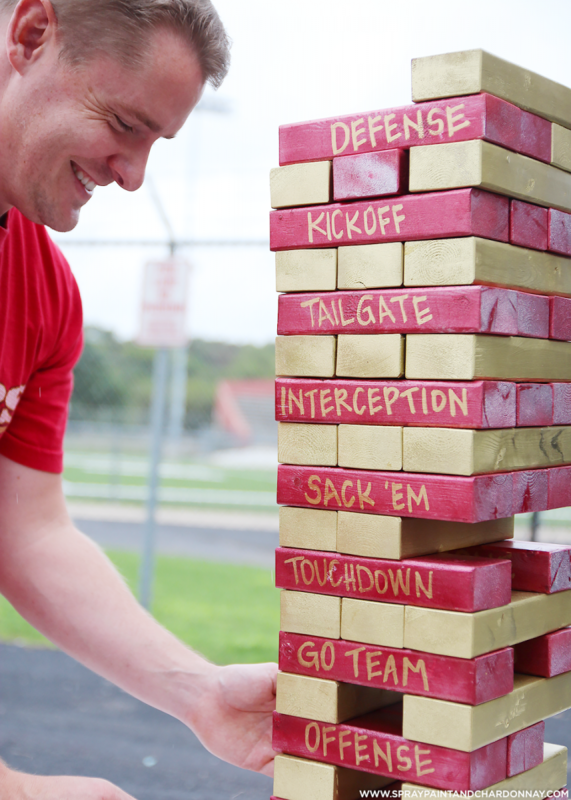 And in Texas, fall is synonymous with football, which means it’s finally tailgate season again! If you’re like me, I look forward to the tailgates as much as I do the games. OK, that’s a lie. Half the time I don’t even know what team we’re playing, but I do know that there will be good food, cold drinks, and lots of fun. 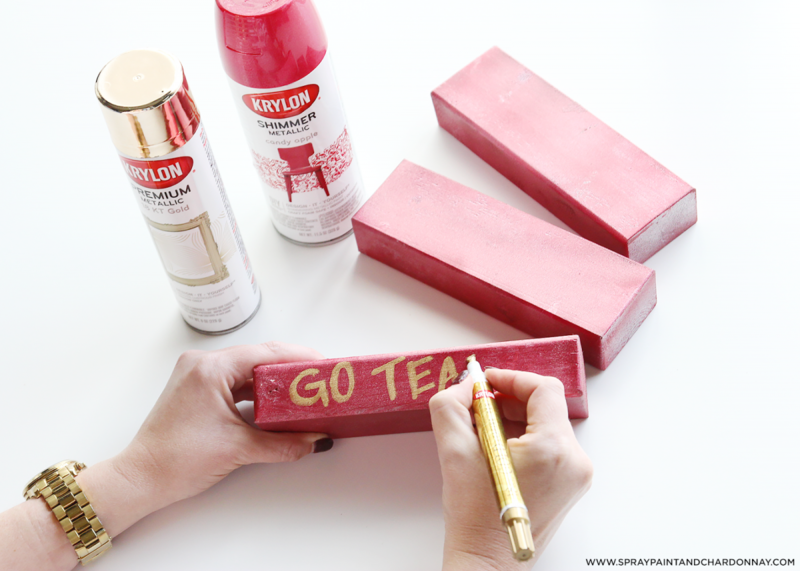 To kick this year’s tailgates up a notch, I’ve partnered with my favorite spray paint brand, Krylon®, to create a few simple DIYs that will be sure to set your tailgate above the rest. While I fancy myself a DIYer, I’ll be the first to admit I’m no carpenter. I had no idea that nominal sizes of lumber, weren’t the actual sizes! For example, a ‘2 x 3’ is actually, ‘1.5″ x 2.5″‘ — which is the perfect size lumber for this particular project. Standard lumber lengths, come in 6′, 8′, 10′, etc…and for this project you’ll need 45’ of worth lumber. The kind people at the hardware store should be able to cut it down to the size (1.5″ x 2.5″ x 10″) you’ll need and send you on your way! Before painting, it’s important to give each piece a quick sanding to make sure they’re smooth and splinter free. After sanding, give them a wipe down with a dry rag to remove any leftover dust. I laid down a plastic drop cloth in my garage to ensure that I didn’t turn my entire garage floor red & gold (it’s been hot pink before…don’t worry…). 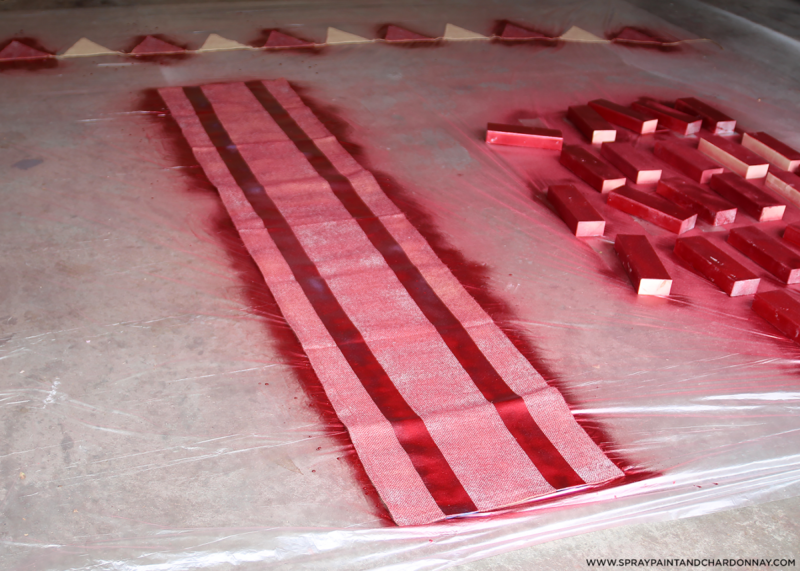 I separated the blocks into two groups of 27 and started spraying the red first. Don’t forget, that when you’re spray painting, be sure to always read the product label for proper preparation, application and safety instructions. 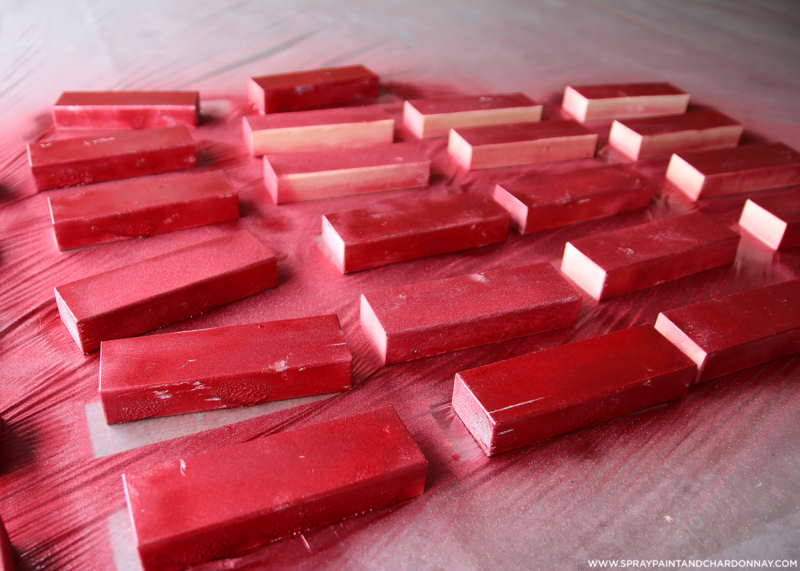 Originally, I painted the block long side-down with Krylon Shimmer Metallic in Candy Apple Red (as pictured), but then realized that took a bit longer to paint all six sides of each block. 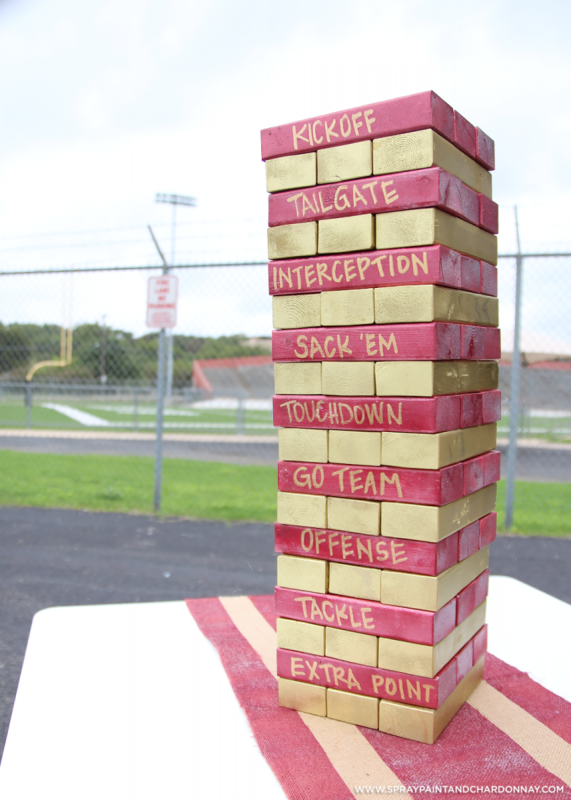 For the blocks painted with Krylon Premium Metallic in 18 kt. Gold, I lined them up like rows of dominoes and that process was much quicker! 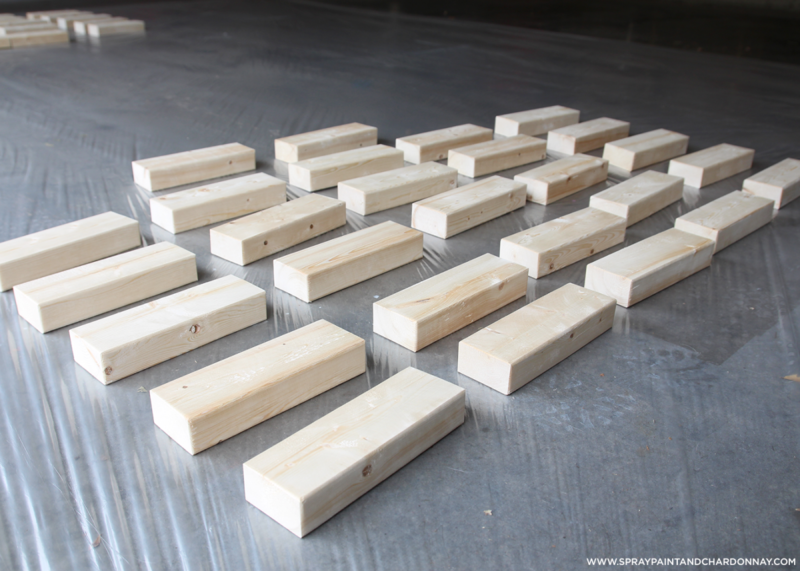 Fortunately, spray paint dries extremely quick on wood, so by the time I finished painting all of the blocks, the blocks I started with would be dry, and I could touch them up and be done! 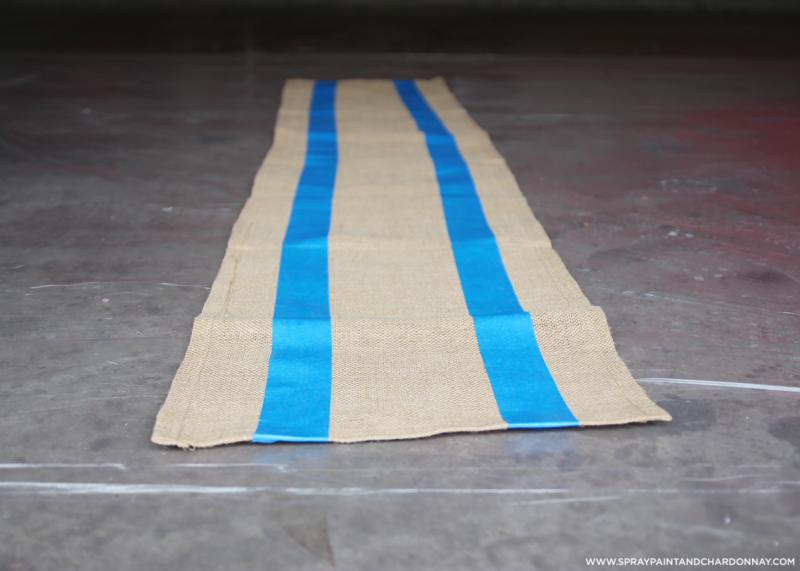 While you have the spray paint out, a quick and easy DIY you can add to your tailgate is a striped burlap table runner. You can either cut plain burlap (12″ x 6′), or purchase a pre-made runner at your local craft store for just a couple of dollars. With my trusty blue painter’s tape (I seriously buy this stuff in bulk…), I measured out two stripes and made sure the tape was tightly adhered to the burlap. 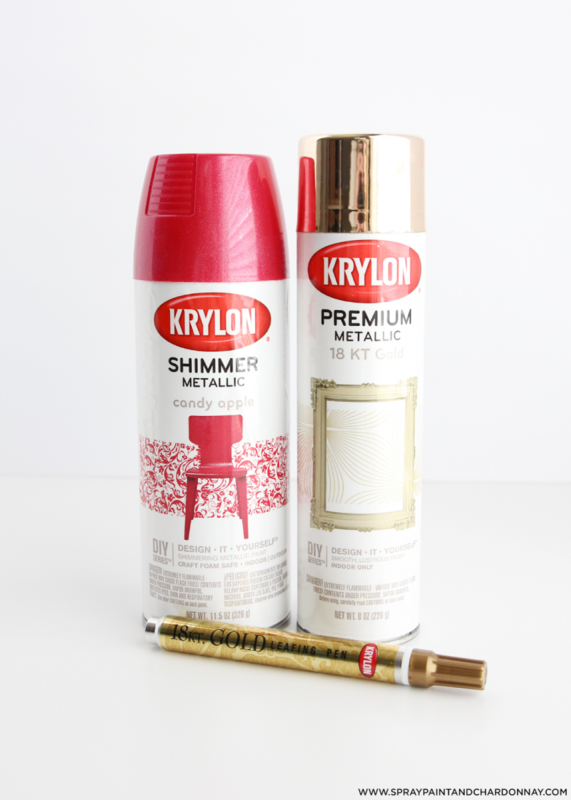 One quick coat of of Krylon’s Shimmer Metallic in Candy Apple Red was enough for this project, and I was done! Much like wood, burlap dries quickly, so there’s not much waiting around time. This project took less than 10 minutes, tops. Aside from tailgates, a burlap table runner is the perfect addition to any back yard party or fall tablescape. And, why stop at burlap table runners?! 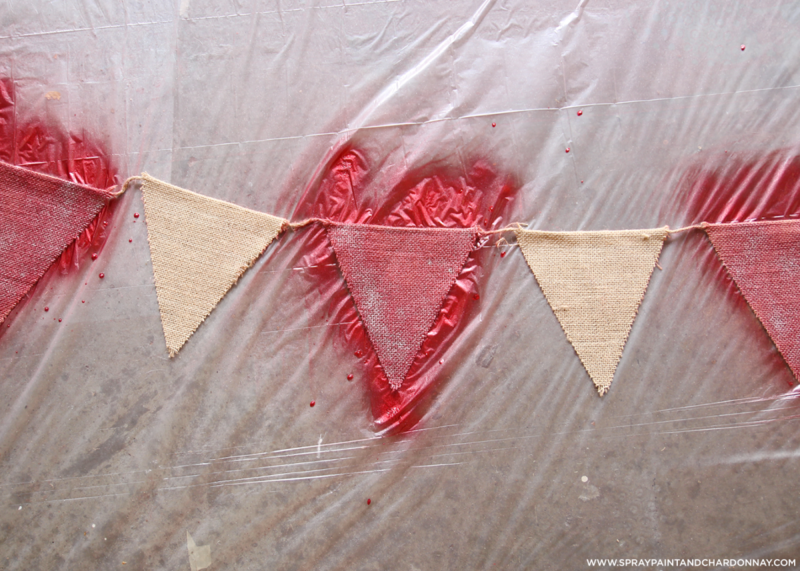 A couple of years ago, I shared how to make the easiest painted burlap pennant banner, and these might be even easier! You simply cut burlap into 6″ – 8″ triangles, and then hot glue them along the top to a piece (10′) of twine. Once assembled, I just alternated spray painting the flags red and gold, and voila! You’re tailgate ready! 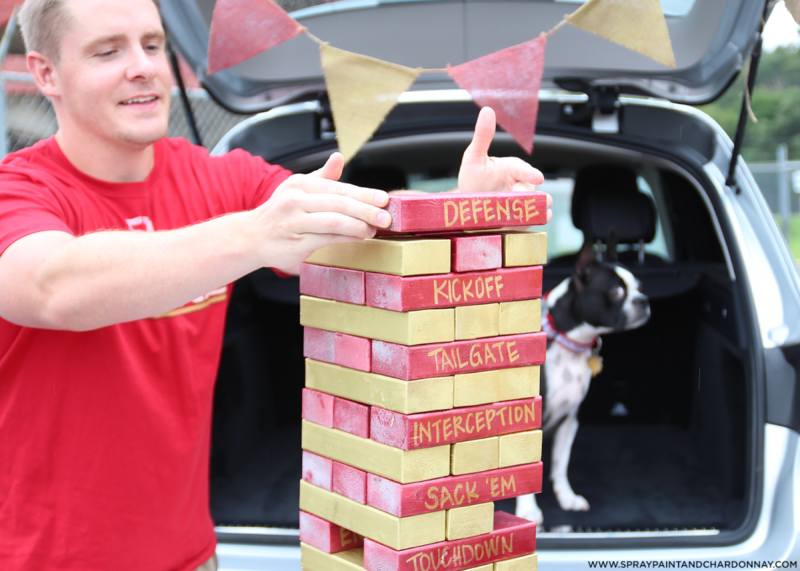 Now that you have all of these darling DIYs to show off, it’s time to tailgate! 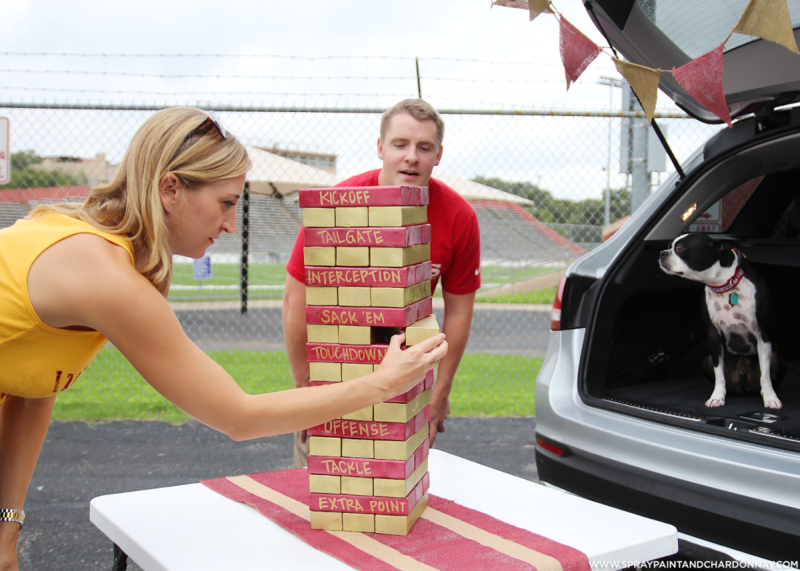 The Jenga set, burlap runner and pennant banner are all easily transportable, so whether it’s a home or an away game, your tailgate will be the talk of the parking lot!